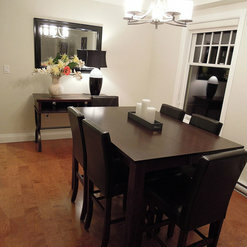 My husband and I had completed renovations of our living space, living room, dining room and kitchen. 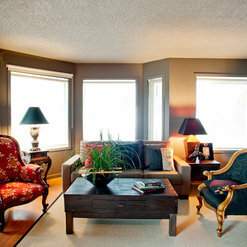 We were trying to blend a mix of traditional and contemporary styles and also wanted the rooms to flow and complement. Carell-Aynne at Simply Staged was able to make this happen. Her assessment skills, communication skills and creativity produced such a welcoming space that flows. She was able to listen to both our needs and skillfully gathered information regarding taste, what we were willing to let go of and what budget looked like. I love how she has a wonderful sense of humour and skill full way of creating a story to our rooms. Her background of design, feng shui, colour, antiques and people skill was so needed on this project. 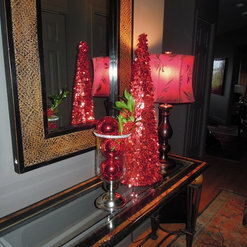 I learned so much about changing the height placement of a picture or mirror. Balancing the room, changes the shapes and textures of pillows or ornaments. Blending traditional and contemporary allowed both of us to keep our favourite pieces. She took the overwhelm out of shopping and made it fun. The project was done on time and absolutely professional. Our house is now a home and we would recommend Carell-Ayne with no hesitation. In fact we will have her back to complete our master bedroom! Carell-Ayne did a great job for me. She was quick, made the condo much more inviting and helped the pocketbook by including some second-hand items, custom-picked for the site. The condo sole in less than a month. 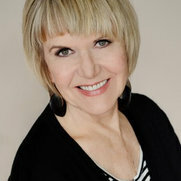 It has been my pleasure to work with Carell-Ayne of Simply Staged. This is a professional who not only listens to the client but she HEARS them as well. Many stylists equate cost with style...and frankly anyone can decorate with an unlimited budget...but it takes talent to achieve great style within realistic financial parameters.....Carell-Ayne does this with great panache. We hired the services of Carell-Ayne to stage our new condo and were extremely pleased with her professionalism and knowledge. She helped us to get the right pieces of furniture and artwork to complete the Westcoast look we were aiming for with a careful eye towards working within our budget. She always has a bubbly and positive attitude and was a joy to work with. We would recommend her highly. Wanting to improve functionality of my kitchen I asked Carell-Ayne for advice on what would achieve my goals while improve my home's presentation for future sale. She came to my home and in an organized fashion listed for me the steps I needed to take get my kitchen to the form I envisioned. She is courteous, friendly, well organized, and knowledgeable in getting the most esthetically and functionally from an existing space.A thoroughly pleasant experience. I hired Carell-Ayne to help me create a nice home office. 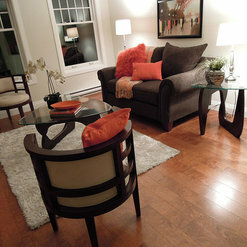 Carell-Ayne used my existing furniture and accessories to create a beautiful and functional space. Now I look forward to walking into my home office in the morning! Thank you so much! Thank you so much Sarah for your kind words. I really had such fun working with you to achieve a more welcoming office. Now you can invite your clients, your friends or just work on your own, to reach that important deadline. Working with Carell-Ayne was a pleasure because she is very warm and personable and not the slightest bit intimidating. 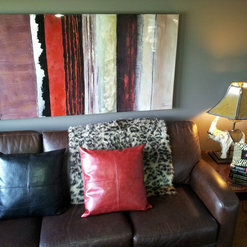 We had never worked with a home stager before and were not entirely sure what to expect. Carell-Ayne is a true professional. She worked quickly, decisively and tactfully with our existing furnishings to create a clean new look for our home. And last but certainly not least, she was very respectful of our budget. It was a huge relief to have everything taken care of professionally and stay within our budget too. Talk about maximizing potential, Talk about results! Carell-Ayne expertly worked with the existing furniture and really pulled my place together to help to sell the town home in short order at close to the asking price, while competing against newer product in the same neighborhood. She knew how to breathe new life into a tired home and really made it shine. She accomplished this without spending a dime. SOLD!! thank you Carell Ayen, you are a dear, and a PRO. Such talent. OMG.....Marlaine, Thank you so much for your very kind words. It really made my day! I really enjoyed working with you, and we really did have plenty of giggles along the way. Not to mention, that your cat was starting to lose his identity. Like us all, change is huge, especially wihen moving. However, he did keep Law & Order with his "Claw Enforcement.". Many thanks again Marlaine, and I look forward to connecting for your next project.